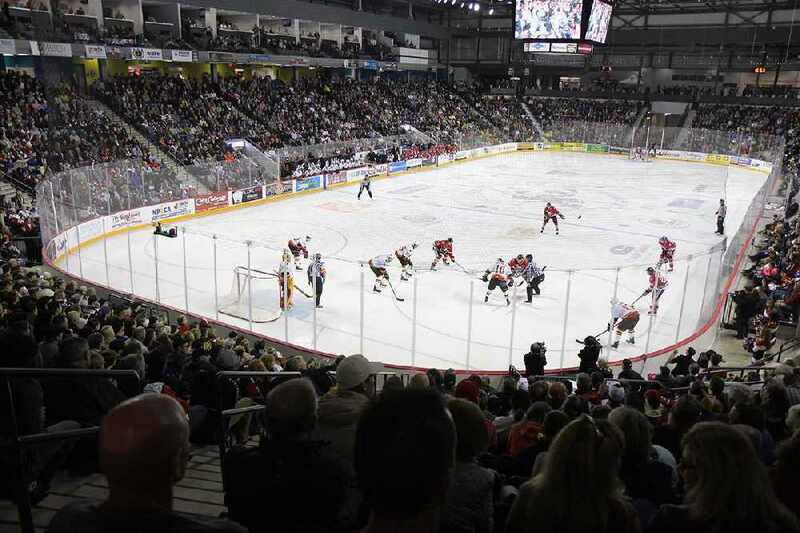 The Niagara IceDogs have made it to the OHL playoffs! Their first home game is this Thursday, so the City of St. Catharines will be hosting a Dog Run pregame party along St. Paul Street. The area will be closed to traffic from Queen Street to the Helliwell Lane / Rankin Gateway pedestrian bridge. They will have music, inflatables, mini hockey games and more on site from 5:30 p.m. to 6:45 p.m.
Dog Run parties will take place before every IceDogs home game during their playoff run.